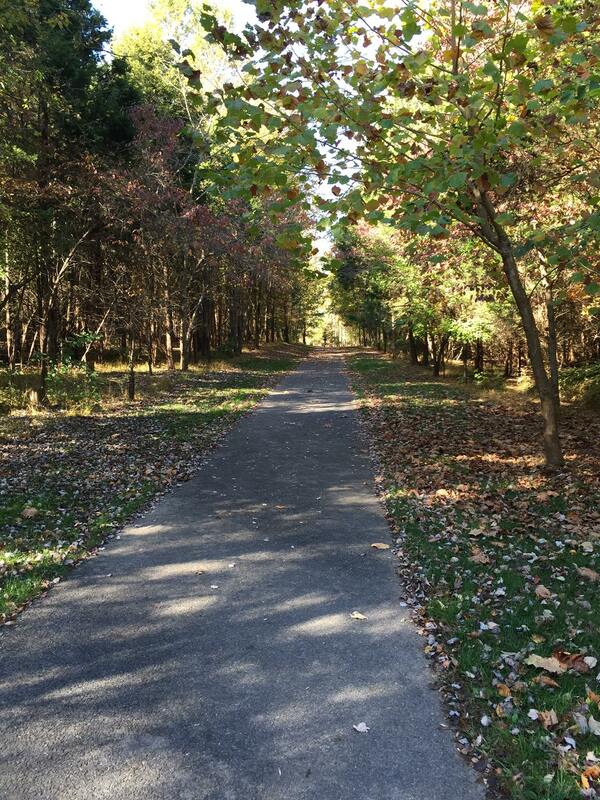 Just 14 hours to go before I reach the start line of my 7th marathon – the Marine Corps Marathon! I’m chilling with E right now at his parent’s house in Maryland, resting my feet and loading up on carbs. 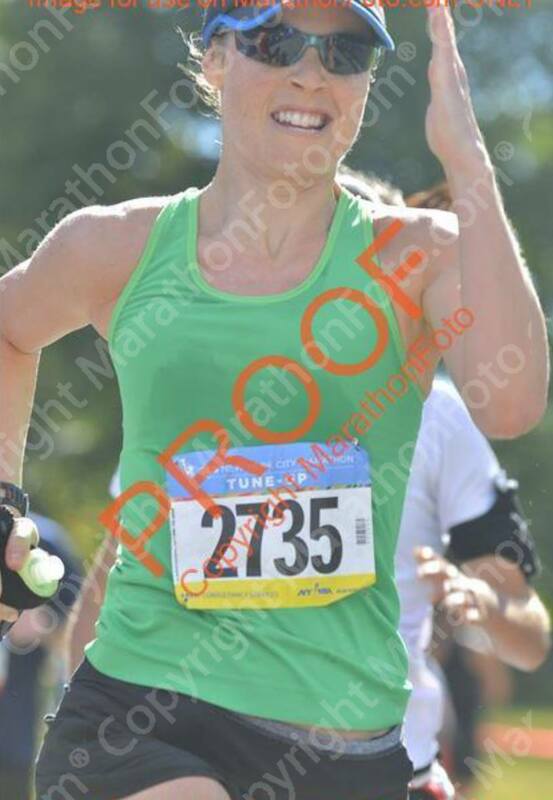 It’s hard to believe it’s been seven months since my last 26.2 in Boston, which was a really tough race. I can only hope that tomorrow goes better! Training has gone fairly well, given how much has been going on with the internship, school and everything else. I’ve had some really strong runs, particularly my long runs – 21 hilly miles in Nisene Marks, 20M in CP with several miles at MP (NYRR marathon tuneup pictured above – beast mode sprint to the finish! ), and 21M including some MP miles up the west side and across the GW bridge. I’ve also had some really disappointing runs, many in the last two weeks. I felt great during my 13M taper long run and then got sick later that day, and developed some nagging foot pain later in the week. I skipped several runs throughout my taper, including my last long run which unfortunately also was my last coached run with Gilda’s. The foot pain has improved, but I can’t seem to shake this overall sense of fatigue. Perhaps it’s stress – my body just telling me I need to take it easy after such a crazy year – or maybe my body is still fighting off something. So I’ve been focusing on eating well and getting as much rest as possible. Hopefully it will pay off tomorrow. 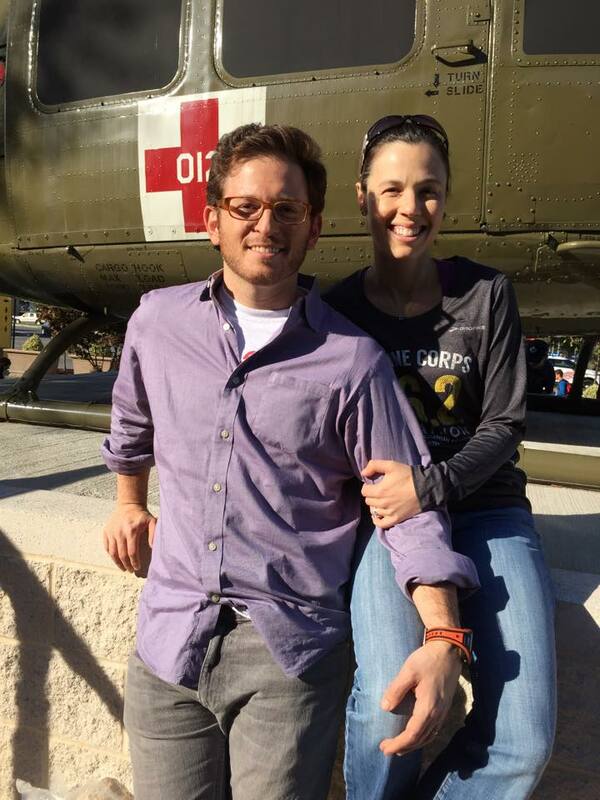 We took the train to D.C. yesterday and went to the expo in the early afternoon. 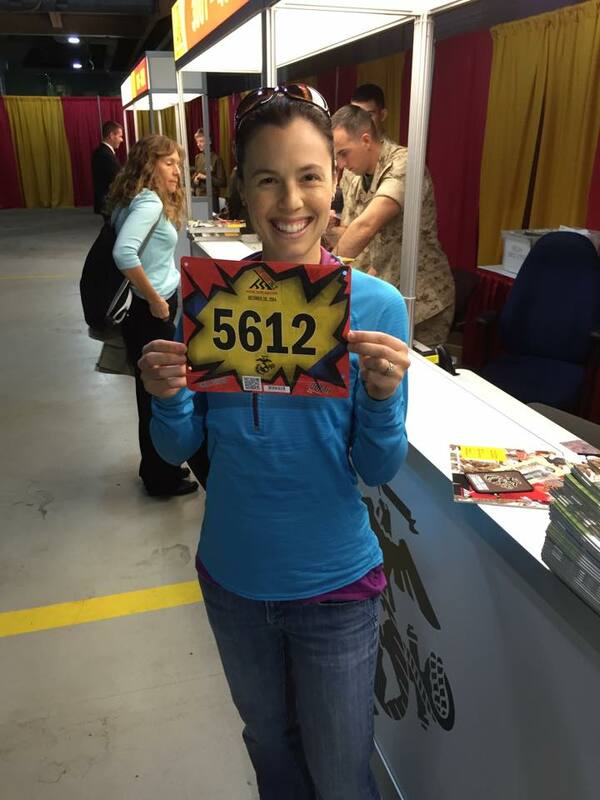 Check out my bib – 5612 out of 50,000 numbers! Not too shabby. The design is pretty cool too. Almost makes up for the ugly race shirt we got – brown, long sleeve mock neck. Yuck. I caved and bought another long sleeve race shirt (the grey one above) so I’d have something I can actually wear! I also got a new pair of shoes. I’ve been slowly falling out of love with Saucony after loyally using Omni ProGrid’s for the last 5 years, and E has been encouraging me to try out Pearl Izumi’s. We came across the booth at the expo, and I ended up buying a very cute pair of N2’s on sale. 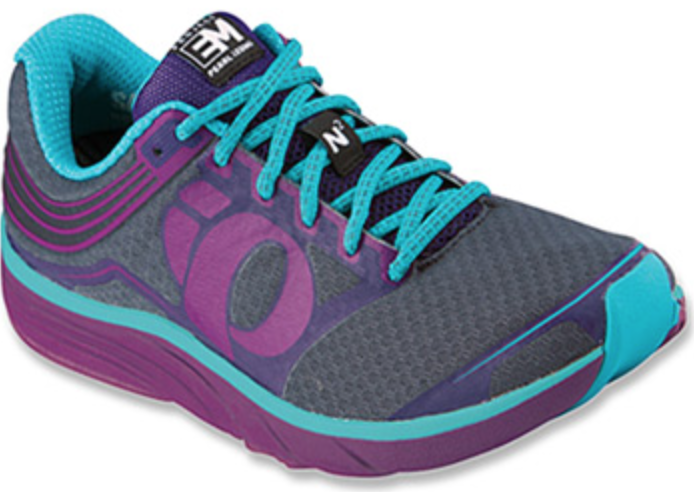 They are a neutral shoe, and feel very light and way more flexible (seamless upper) than my current Saucony’s. I’m planning to give them a try after the marathon. 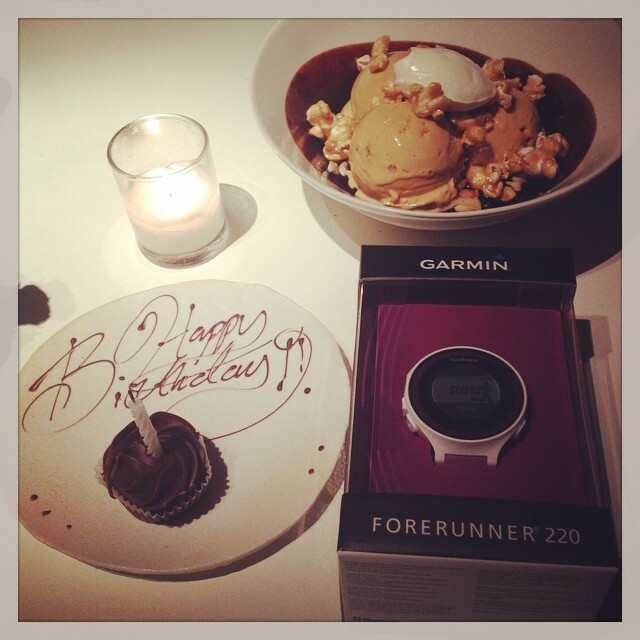 I’ve also been using a new watch – purple of course – the Garmin Forerunner 220, which E got me for my birthday. I’ve enjoyed using it for the most part, although there are a couple features that I miss from my 210. First, you can’t lock the watch – and the start/stop button can be slightly sensitive. Second, I can’t seem to figure out how to see the actual clock time while I’m running, which is handy for when I’m running late and need to check how much time I have left. But, generally it’s been great, and I’m excited to wear it tomorrow. Race day is meant to be warm (high of 66), so it’ll be shorts, a tank and a visor. I didn’t enjoy running in shorts in Boston (I love my Lululemon shorts but feels nicer to run 26.2 in my compression tights) but the weather calls for it, and I won’t make the mistake I made in Boston in not wearing my visor. For the first time, I’ll be ditching my marathon belt and stuffing gels in my pockets – which I can do now because I’ll be using Powergels instead of my usual SIS gels from the UK. This is my first marathon not using SIS, but after the leaking fiasco earlier this year, I finally made the switch. I don’t love Powerless but they seem to be the only ones I can semi-tolerate. I need water with these gels and am slightly concerned that MCM only has water stops every 2-3M (I find that really surprising for such a big race – I’ve only ever run races with water every mile), but I guess I’ll deal. I’m carrying my small handheld amphipod bottle and will use it only between water stations rather than to save time by skipping early stations, and thus hopefully it will last longer than it usually does. 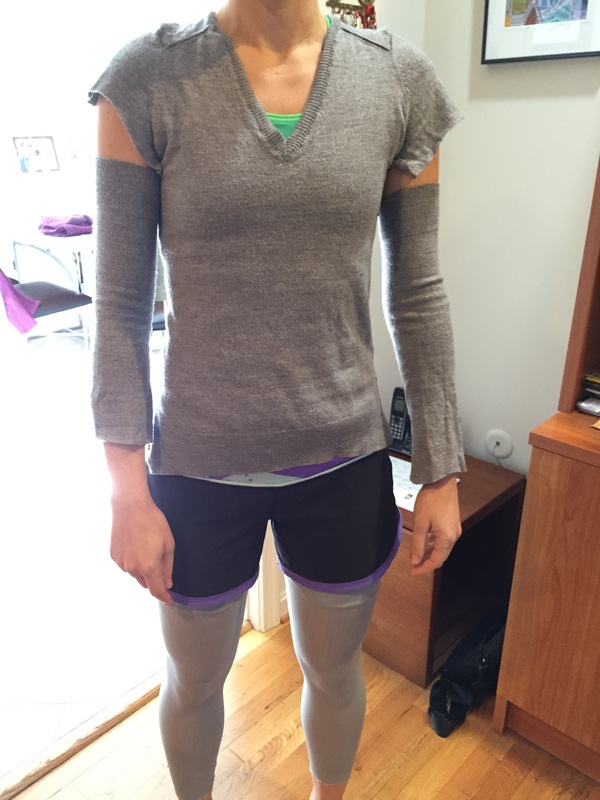 I’ve also come up with a good strategy for staying warm pre-race on a slightly warmer race day, when you still need throwaway clothes but it’s not cold enough for arm sleeves. I took an old sweater, chopped off the arms, then reversed them so that the tighter wrist parts are worn at the upper arm (that ways they stay on). The rest of the sweater becomes a vest which you can make easier to peel off by cutting slits in the arm pits and also at the waist. For the legs, I took an old pair of tights, cut off the feet as well as the upper part, and now I have some nice leg warmers that I’ll take off before starting. Why waste money on buying cheap clothes when you can just use some old stuff lying around? I did this morning’s shakeout run in an extra set of my marathon gear on what was a gorgeous day. A bit warm for a marathon, but lovely nonethless! I know tomorrow is not going to be particularly speedy – not because I’m being pessimistic, but because all my 2014 races seem to support that I’m just slower this year. 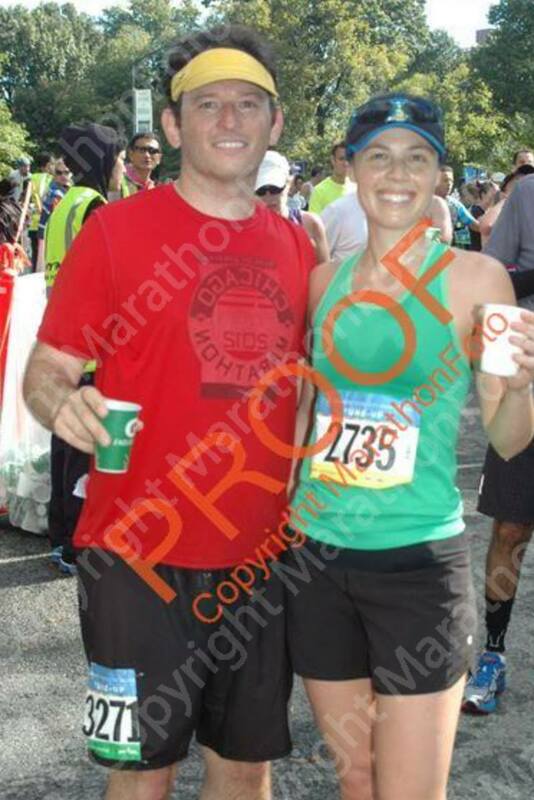 My training race (Bronx 10M) was a great race, but even my best effort on that day put me at the finish line at 1:17 (two years ago I ran 1:14, right before my PR marathon in Chicago). My 10k races over the summer were much slower too. At least I’m still able to run the distance, and I am grateful that I have no major injuries at the moment. 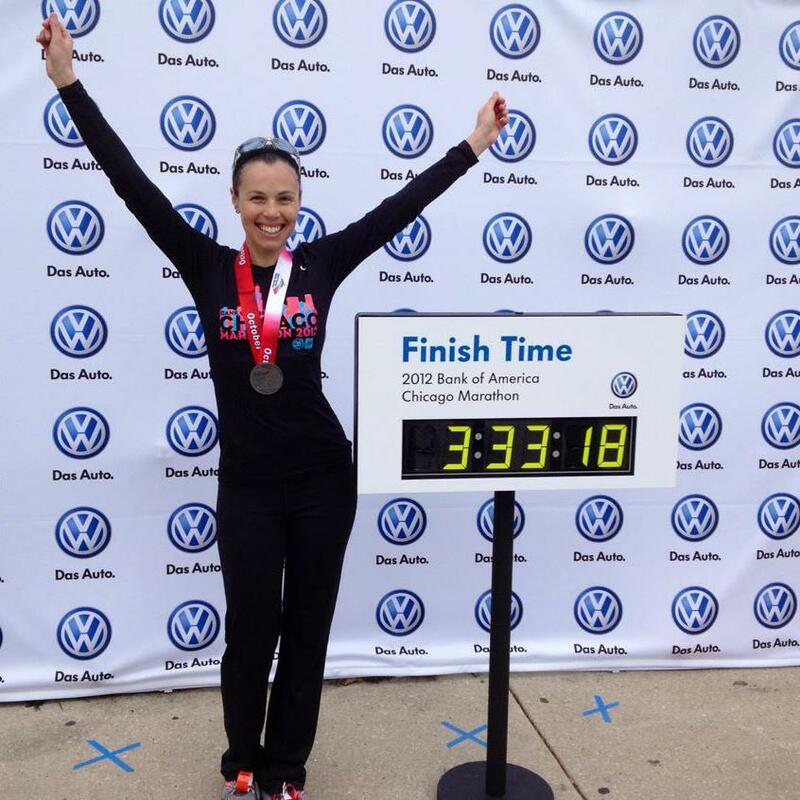 I’ve scrapped any hope for running sub-3:30 or even another BQ and set some new goals – running under 3:40 would be awesome, with a secondary goal of running under 3:45. Funny enough, E and I grabbed the same 3:45 pace band at the expo (gasp!!!). He’s getting so fast – the chance that he may be able to beat me for the first time surely will give me some added inspiration to pick up the pace. I have no doubt he will finally crack 4 hours. My most important goal is to feel strong throughout and enjoy myself as much as I can. It’s meant to be a great course with so many wonderful sites, and obviously there will be inspiration abound given it is run by the marines. Here’s my race strategy: start out nice and easy (high 8:20s/8:30), which should be easy given the crowds and a 3M incline, then move down to low 8:20s if able, keep it there and gradually speed up after 20M if able. Always easier said than done – but having a race strategy certainly will help!